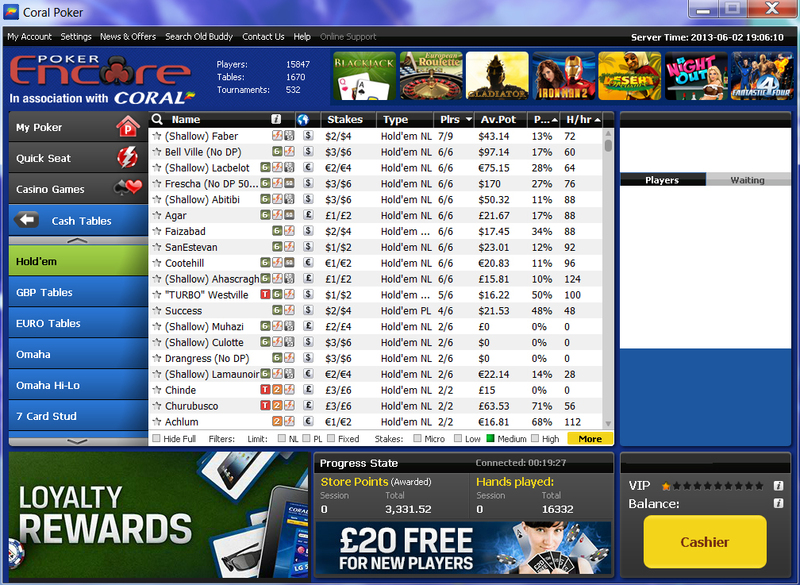 Welcome to the new home of Poker Encore, powered by Coral! You’re minutes away from being able to enjoy the great number and variety of cash games and tournaments that we have to offer. Simply follow the easy steps below to get started. As ever from Poker Encore you can be assured of the very best level of service at all times. Combined with the safety and security you need from established UK gaming giant Coral you have both piece of mind and access to the best promotions. Let’s get started! When you click to download you should see either a popup or an option to Download at the bottom of the page. Click here to launch the Download. You will then see a pop-up window asking you to Run or Cancel. The software will then be ready to install, Click "OK". To complete the process and begin playing Poker all you need to do is verify the End User Agreement.